Alfama is the oldest and most characteristic neighborhood in Lisbon. Its narrow-cobbled streets and ancient houses built in a steep hill perfectly represent the Portuguese architecture and embody the raw Portuguese spirit. Alfama is part of the very central Santa Maria Maior region and is neighboring other iconic areas such as Baixa, Chiado, Castelo or Martim Moniz. There’s a big demand for an Alfama property. 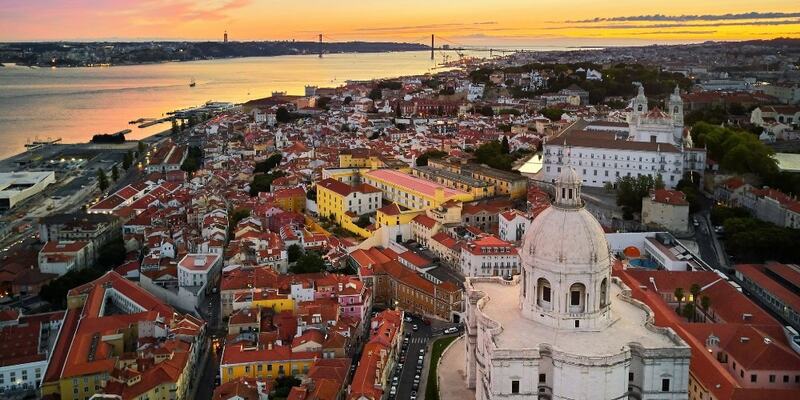 It is one of the gorgeous neighborhoods in Lisbon, and even though there is a strong international presence, this place is still able to preserve its culture and local environment. You could have a hard time to find yourself a house in Alfama, but the area offers plenty of charming apartments. At the moment, the average square meter price for apartments is Average price per sqm. in Alfama €5,580 0% properties#: 218 last change on: 19 Apr 2019 €5,580 . For the investment opportunities in Alfama it is Average price per sqm. in Alfama €5,492 0% properties#: 67 last change on: 19 Apr 2019 €5,492 per square meter. The most renowned agencies in this area are Remax and Century 21. They are followed by Keller Wiliams and Property Lisbon. Originally built outside of the city walls, Alfama used to be the home of poor sailors and dock workers. As Lisbon grew bigger, however, this neighborhood became one of the most iconic and charming places to be. It’s a labyrinth of narrow streets and clay-tile houses and it’s ideal for those who enjoy getting lost. In every corner or steep climb, you can find a viewing point, a unique shop, a cozy local café or a tiny square. Unlike some of the chic districts in Lisbon, Alfama is a place where people live their lives without polishing their facades for tourists. Washing lines hang from windows and the locals like their coffee pitch black. You can also find a handful of museums and cathedrals in this location. 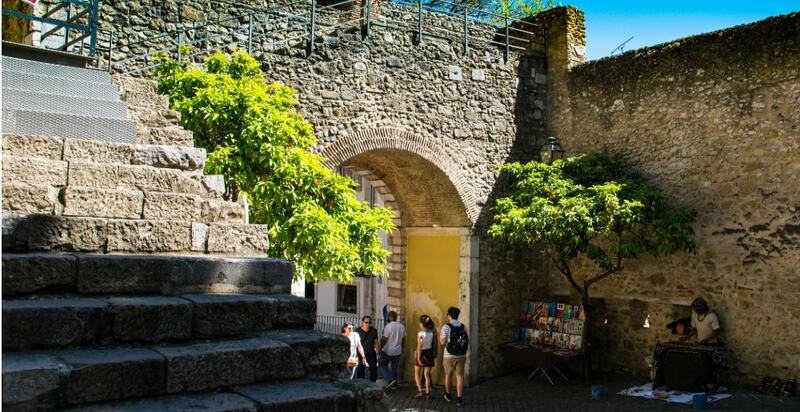 If you go all the way up the hill, you’ll discover São Jorge Castle. Also known as Lisbon Castle, this place is highly recommended for watching a sunset fading away over the city’s roofs. The neighborhood extends from the banks of the Tejo up to the castle and you will quickly discover that there are almost no flat streets in Alfama. You will spend the entire time by climbing cobbled streets or descending staircases. This can be very difficult for visitors and property buyers with limited mobility, young families or for those who struggle with the intense summer heat. The best viewpoint of Alfama is the Miradouro de Santa Luzia (‘Santa Luzia Viewpoint’ in Portuguese). From here you will enjoy wonderful views over the tiled roofs of Alfama and out across the Tejo Estuary. The viewpoint is on the number 28 tram route and is close to the castle. 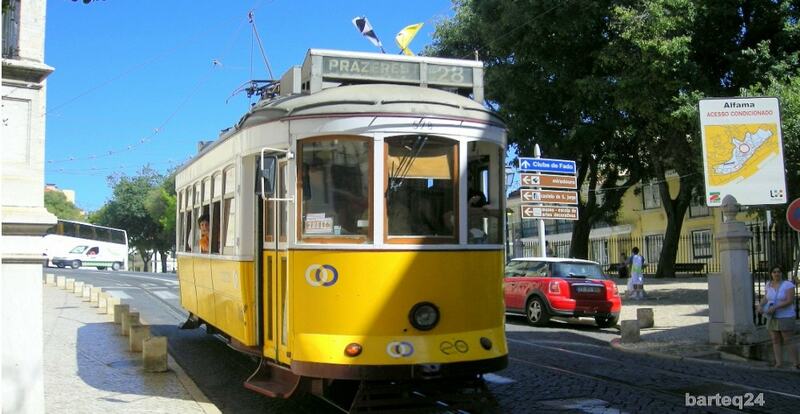 Lisbon, and especially its central areas are full of smaller or bigger restaurants offering all kinds of food. When looking for a nice place nearby, walk for example down to the Tejo river to Casa de Linhares and try the typical Portuguese cuisine. This restaurant is located in a close neighborhood called Sé. Additionally, it is featured in the Michelin Guide for its fresh ingredients and capably prepared meals. As with almost every district in Lisbon right now, acquiring Alfama property is a sound investment. Portugal’s hotspot is booming and the real estate market is growing with no end in sight. Alfama is the perfect area for people that prefer to live the authentic Portuguese spirit instead of settling in a refurbished and chic district.